Our one bedroom apartments have fully equipped kitchens with dishwasher, stove and refrigerator. All have built in above the stove microwave ovens, ceramic tiling and ample storage space. 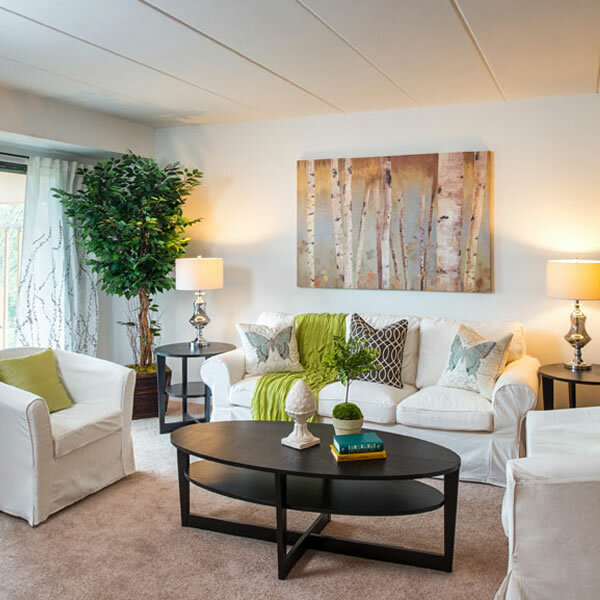 Our beautiful complexes have oversized windows, spacious rooms with wall-to-wall carpeting, private 72 square foot covered balconies, private mini storage rooms and central air conditioning. Each apartment has individually controlled thermostats and offers central laundry facilities for each of the 3 buildings. Private parking for 2 cars and your best friend is happily welcomed too (dogs and cats under 30 pounds). Spacious 2 bedroom apartments are available at Claremont Towers. Cats and dogs are welcome and the local bus stops in front of the buildings for easy transportation. Ceramic tiling in kitchen and baths, oversized windows, private 72 square foot covered balconies, private mini storage rooms and discounted access to the swimming pool. Central air conditioning, with individually controlled thermostats and central laundry facilities for each building make this a perfect place to live in Hillsborough. All apartments are cable and DSL ready and the buildings have locked entry doors and intercoms. Call for your appointment today.